Well-known directors at 10th Seminar for Film Directors from the Chinese mainland, Taiwan and Hong Kong. The State Administration of Radio, Film and Television (SARFT) has submitted the final version of its Film Promotion Law to the State Council and a film rating system may be implemented, according to sources from the ongoing 10th Seminar for Film Directors from the Chinese mainland, Taiwan and Hong Kong. The system, which will have a comparatively simple "two ratings", may offer some films that fail to meet mainland censorship requirements access to the Chinese mainland audience. A total of 150 directors took part in the seminar and most of them expressed optimistic perspectives on Chinese-language films. Poster of "If You Are the One". Director Feng Xiaogang said the film market in Chinese mainland would reach 10 billion yuan in three years; together with Hong Kong and Taiwan, it would become the fastest growing market. 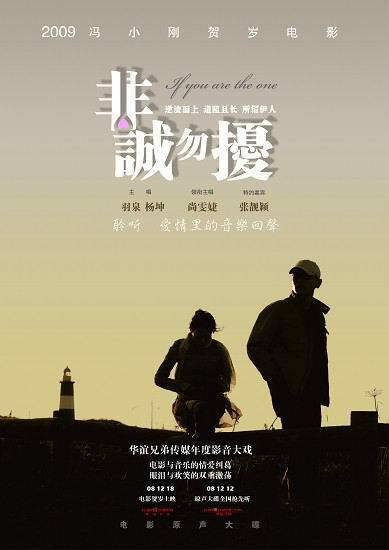 His blockbuster If You Are the One has passed the 300 million yuan mark at the box office. "We have such a big market, which enables us to increase investment and make better films to compete with those made by Hollywood," said Feng. Feng's view was echoed by another well-known director Hou Hsiao-hsien from Taiwan. Hou is optimistic about the mainland market and urged directors to make use of its enormous potential. However, the huge market alone doesn't mean an open door for every director. 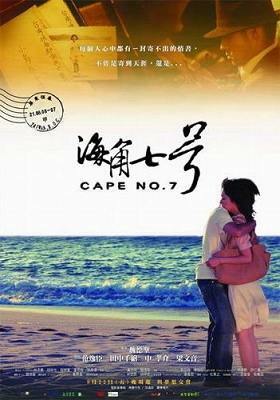 Wei Te-Sheng, director of Cape No.7, which made box office record takings in Taiwan last year, had to raise a mortgage on his house to fund his film. Although there are special funds supporting local film development in both Hong Kong and Taiwan, limited quotas and an imperfect system leave many new-generation directors struggling to raise money for their films. On the other hand, there is plentiful capital in the mainland available to professional production teams, according to Yu Dong, president of Beijing Polybona Film Distribution Co., Ltd. In addition to film marketing, the seminar also discussed how to make good films in a fast-changing market. There is consensus across the Taiwan Straits on aesthetic standards and values, especially among the younger generation, said mainland director Zheng Dongtian. Films should have an eye to the local audience and showcase the best of Chinese culture. "Films should be stories about things that are close to us, not at some artificial distance," concluded Hou Hsiao-hsien. The biennial seminar, held to bring together film directors from across the Taiwan Straits and Hong Kong to share their experiences and increase mutual communication, ran from January 10 to 14 this year. Red Cliff Part II is a pure entertainment piece with a better plot, better structure and better battle scenes than Part I.